When I started making art again and deciding to treat it like a business nearly a year ago, I didn't know where it would go. I only knew that I was burnt out on my yarn dyeing business, Pigeonroof Studios, and that I needed and wanted to make enough money from my art to replace that income. A serious injury that has left me with thousands of dollars in debt for out of pocket rehab, with rehab still needed almost a year later, made me double down on PRS again, but a couple of months ago I realized I had lost steam, and turned back to trying to market my art more aggressively-- although I could probably be more aggressive! These days there are many ways of making money from your art, including the wide world of Print on Demand (POD). POD is supposed to be a good way to make "passive income", although that can be a little bit of a myth. The site that I've been the most successful on has been Artfully Walls. Artfully Walls is a curated site, so unlike many of the other POD sites, you can't just upload anything you want. Well, you sort of can, but they will decide whether or not they will publish you. 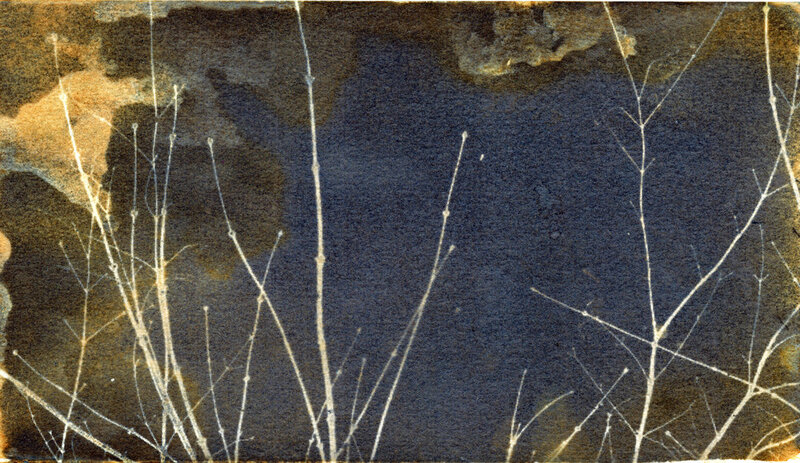 They didn't like my first image I uploaded, which was a digitally altered cyanotype, but they looked at my Instagram and picked out some of the collages and cyanotypes I'd shown on there. They've accepted four other images since then as well. I had actually kind of forgot about them, so when I went to check my account on a whim, I discovered I'd made about $60! You make a pretty decent profit on there, definitely more than on other POD sites, at least for prints. To date I've sold 14 items, and made $163.06, with Writing on the Wall being my most popular print. I'm not going to be a millionaire anytime soon, but for it being my first year, I'm pretty happy. I'll be really happy if sales pick up there. That's pretty much pure passive income. Society6 has been the next POD I've made money on. I wouldn't call Society6 exactly passive income, since you have to really work at consistently uploading work and promoting. What the algorithm is to your getting seen, like how many promotes do you have to have, is a mystery! Some people are very successful on it, others aren't. I haven't had a ton of sales on there, but I've started to make about 2 sales a month, and I'll take anything I can get when it comes to sales! Some people make several thousand dollars a month from there, so although I wonder if that will ever happen, I'm still encouraged. So far I've made $76, with $24.70 waiting to be cleared. (they hold it in case of any returns.) 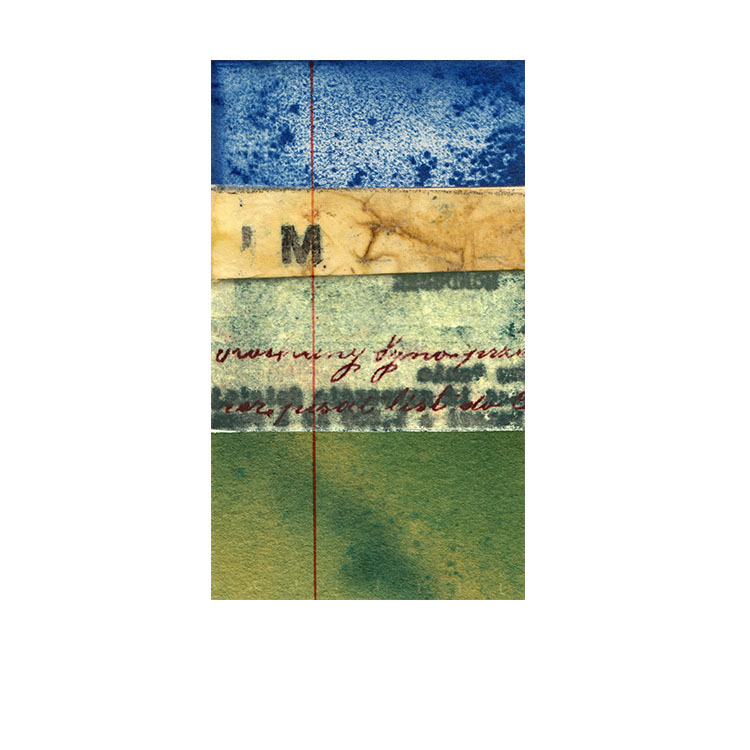 I have a lot of cyanotypes, most of them digitally altered, and collages on there, but I actually just opened a second Society6 shop, with trendier colorful abstracts....trendy being the key word. I'm curious if those will be more successful. The third and final way has been my Etsy shop, KristaMcCurdyArt. Since Printful now integrates with Etsy (affiliate link! ), offering art prints has been a snap. I don't even have to do anything after I list them, because Printful handles all the processing and shipping. I'm actually investigating another POD place, but they don't fully integrate with Etsy like Printful. I might use it to offer higher end prints on the website. That's pretty passive income as well. Now all I need is more sales! I have, however, gotten a few finally, with my profit being $68.41. Obviously it could be better....but I'm continuing to promote and Pinterest is driving a lot of traffic to my shop. The final total is $307.47. Add in a couple of odd sales from IG and elsewhere, and my final total for the year is $367.47. That's not too shabby, but I'm going to dream big and aim for making 3k a month in 2018....with a slightly more realistic second goal of 1k. So that's it! 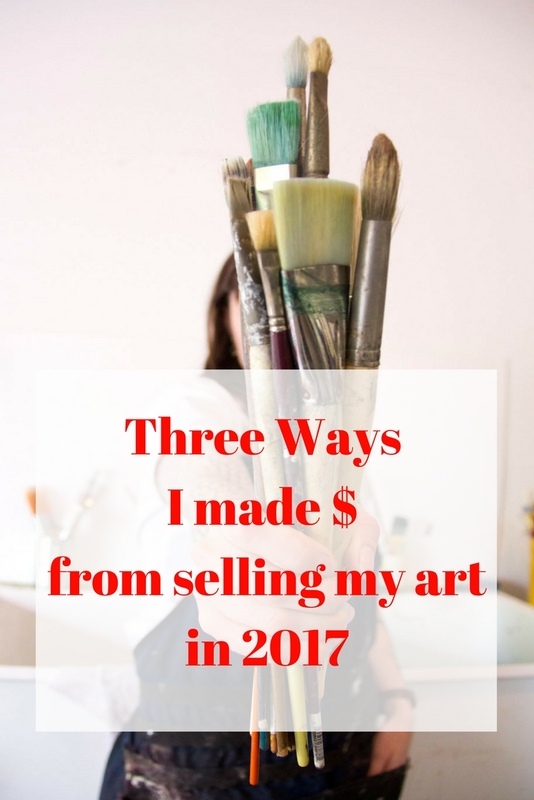 Three ways I made money in 2017 from my art, and this was my first year trying to sell art after over 10 years of not.